CTH Events Paris is always honored to help make our clients’ very special day perfect! You had a dream, it evolved into the idea! You had to find someone who could turn a wild idea into a reality! You searched, searched and found … CTH Events Paris! A few days prepared from start to finish by a professional team, with surprises and happiness! 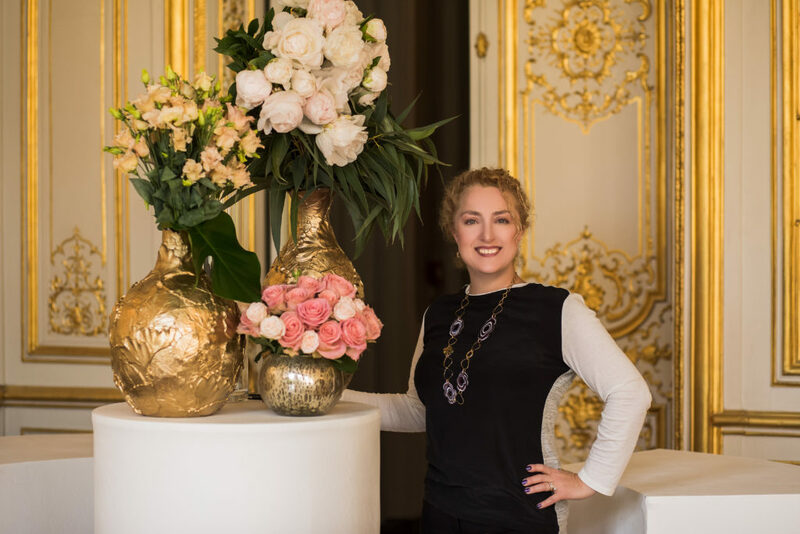 Founder of CTH Events Paris, Inga HEUSELE, owner of the company of creation and manufacturing of clothing 20 years ago, have worked in the past in various fields, in the cosmetics design and perfume, she know well the world of printing, screen printing, design and softwares in 3D. Each experience enriched her and provided new skills. Born into a family with artistic talent she has the taste for stylishly decoration, attention to detail, color, materials, style, setting-up. Thanks to that she create unique, stylish and festive weddings. She speaks 5 languages and is available, flexible and reactive for clients 24/7. In 2018 the team had grown, the Portuguese and Spanish speaking colleagues have joined us. We know that planning a wedding abroad can be stressful and frustrating, and it depends on us to make the planning process stress-free. This is why we take our role very seriously and take care of each of our client, we accompany our clients from the planning to the implementation. We’re with you finding perfect recipes of your wedding planning. It’s your day and your desires, needs and wants all what matters! We hear the voices of your heart, we pick your thoughts, understand your emotions to make the process exciting and memorable. Our fascination – weddings, CTH Events Paris offers you to realize your dreams, however crazy and bring you happiness! See you soon for your Romantic wedding in Paris!! !